IT’S doubtful if anyone knows Elvis Presley better than Todd Slaughter, who’s run The Official Elvis Presley Fan Club of Great Britain for half a century. In this year, the 40th since The King died, Todd’s confident that a century from now, people in this country and every other will still be listening to Elvis. And, with various family members lined up to replace Todd, the greatest Presley fan club on Earth will still be going strong, too! Todd’s club has taken countless fans over to the USA for many years, to steep themselves in all things Elvis, and he personally met The King more than once. So when he says the Presley phenomenon will continue way into the future, he knows what he’s talking about. “This is the 60th anniversary of our club, the 50th since I took over, and the 40th since Elvis died,” says the 72-year-old. “It’s been a long, long time, but prior to that, it was 1962 when I got involved, aged about 16. “At first, the club was run by a couple from a flat in London. Albert Hand, a publisher, acquired it, started an Elvis Monthly magazine and was then approached by Robert Stigwood. I used to write for their magazine, Pop Weekly. “I took on the fan club after that and have been doing it since. Strangely, while there are Elvis fan clubs throughout Europe, there aren’t really any in the US. “I think over here there was a mystery to Elvis from the outset, and the club has enjoyed its longevity. A heart transplant more than 20 years ago has meant insurance costs prevent Todd from going over himself, but an incredible number of Elvis fans have done that transatlantic trip many times. Precious few of them, however, got to actually meet the man himself. How did Todd find Elvis? “When we took fans over to see Elvis in concert, we took them to Las Vegas, from 1972 onwards,” Todd explains. “Colonel Tom Parker said to me they were getting annoyed, as so many folk were going for Elvis, but the rooms were meant to be for gamblers! 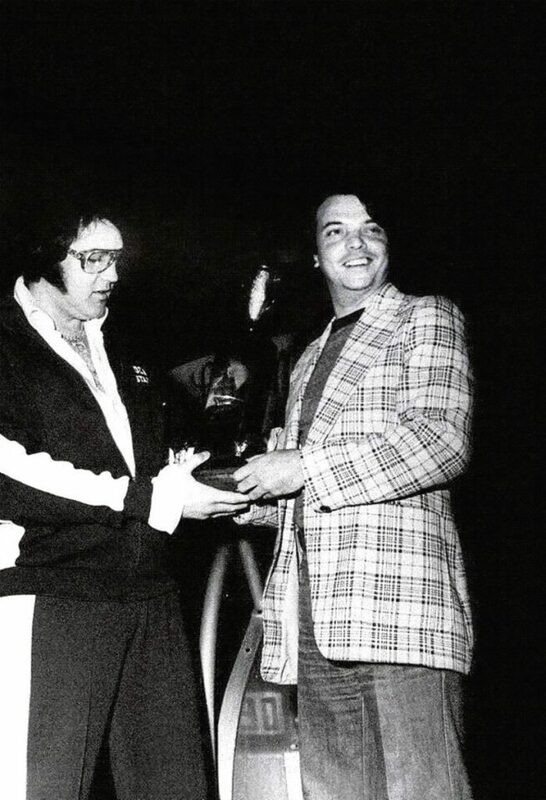 “First time I met him in ’72, he was nice and normal, and if you see the videos of me chatting with him in 1977 he was still the laughing-and-joking Elvis. “He was a decent, honest bloke who obviously had issues, like with prescription drugs. His problems, though, were magnified by the media. “Elvis was interested in Britain, and intrigued by the Colonel’s European background, too. “They spoke to The Beatles’ manager, Brian Epstein. They often spoke on the phone or when Epstein was in the States. “The Colonel said had Epstein not died, he would’ve been the man he’d trust to put Elvis on stage in the UK. “Elvis was a bit of a prankster, told jokes, and the last time we spoke, he was whispering in my ear, taking the mickey out of the Colonel. It still rankles with Todd that many people focus on Elvis’s appearance in his last days, and selected photos that didn’t show him at his best. 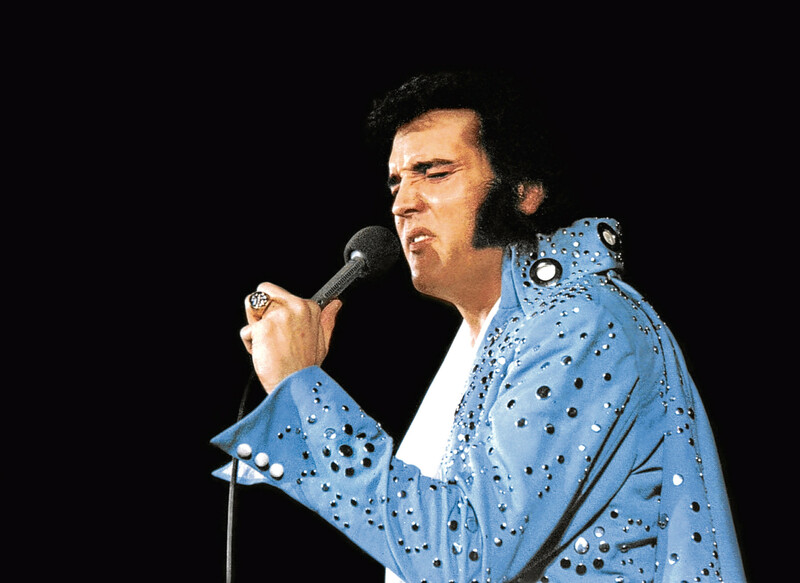 “We even got to see the last two concerts Elvis ever performed,” he recalls. “It’s strange, you know — when you see the footage, Elvis looks dreadful. But the editors were looking for drama. They used the worst bits. Elvis actually looked OK. If Todd had had his way, Elvis would have been enjoyed on live TV and persuaded to perform here. Interestingly, however, he reckons the legend would have grown as it has, whether he played here or not. “In 1962, when Colonel Tom Parker approached the record label to have a tour of Europe, it would have been sensational if it had happened,” he admits. “Two things happened that year. The world shrunk quickly because the first communications satellite, Telstar, was launched. “And it was the start of the British Invasion, with The Beatles. “All of a sudden, with Telstar, we in Britain could watch something happening live in the States. 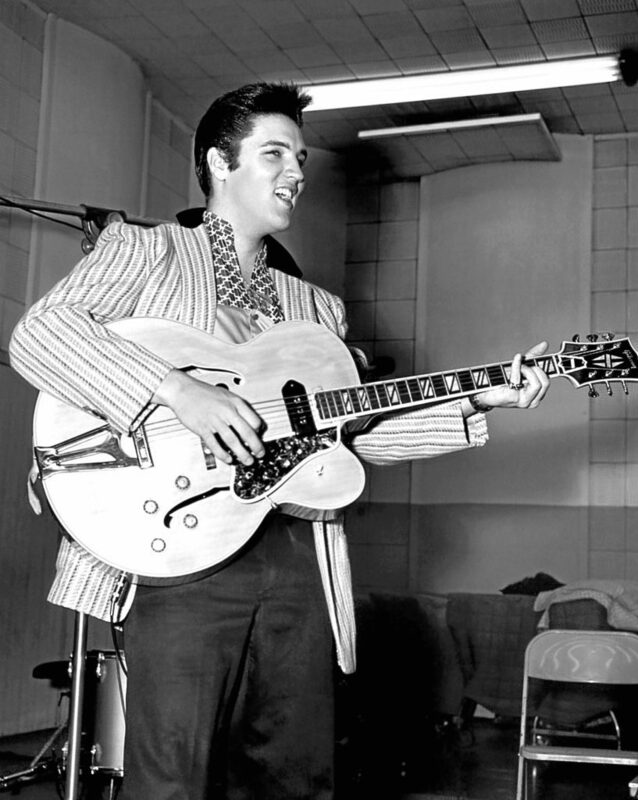 “I was involved with trying to get Elvis shown that way. I conceived the idea, and Colonel Tom Parker acknowledged I did. It would have been great for Elvis, but he was phenomenal over here, anyway, in spite of not coming over. In Todd’s opinion, what Elvis could have done with were doctors who didn’t give him so many harmful drugs, and genuine friends who steered him away from danger. “Elvis was trapped in an unusual situation,” he says. “Many stars’ lives off stage aren’t that good, and his workload was incredible, 150 concerts a year, so it’s no surprise he burnt himself out. “Some friends were fairweather. He was taking a lot of prescription drugs given to him by dopey doctors. “The people around him, don’t get me wrong, liked him, but this sort of thing has also happened with Michael Jackson and others. Stars can be vulnerable.